We are among the trusted organization that manufacture, import, export and provide service of a comprehensive range of biotech instruments including Spectrophotometer. These products are manufacture by using high quality of raw material and can be customized by our clients as per their requirement. They are popular among various users situated within the country and overseas due to their features like large spectral coverage and high resolution power. 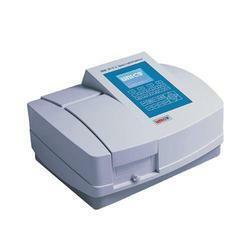 These Spectrophotometers are available at most competitive prices. 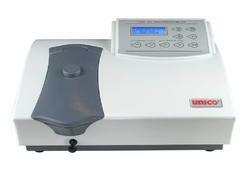 Spectrophotometer Machine are reliable and expandable. 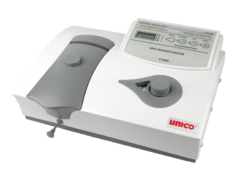 Model 1200 has Absorbance, Transmittance and Concentration modes with automatic zeroing and blanking in a single button push. Its optional features include Window based application software for easy data collection by using Microsoft Excel. Its tool-free and alignment-free lamp is ideal for any standard spectrophotometer application, while staying within a conservative budget. We are a trustyworthy organization offering a wide a gamut of Spectrophotometer Machine. SQ-2802PCS: PC model with variable slits (0.5nm, 1nm, 2nm and 4nm). It is a Double beam design Spectrophotometer Machine. It is a stand-alone model with 1.8 nm fixed bandwidth and has all the features that Spectro Quest line offers in a stand-alone unit. The two detectors are measuring sample and reference respectively and simultaneously for optimizing measurement accuracy. It provides excellent performance for measurements in the range of 190 nm to 1100 nm. It is suitable for pharmaceutical, biochemical and clinical lab applications as well as routine applications such as quantitative analyses, kinetics, spectrum scanning, multiple components and DNA/Protein. Optional PC download software and PC Windows application software make this instrument versatile. 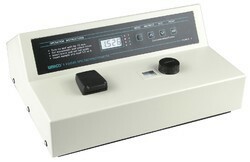 Spectrophotometer Machine are simple, reliable and economical. Great for use in many types of laboratories, including educational, clinical, industrial and environmental labs. For education, ask about our new experiment manual, 175 pages of experiments with complete descriptions and answers. Options include COD vial holders, Windows based application software (1100 RS only) and more. This is a new, advanced design, expanding on the capabilities of its analog cousin, the S1200. The S1205 is an all digital, fully programmable Spectrophotometer Machine with 5 nm accuracy and push button, digital key pad wavelength change. This versatile instrument features a wide sample compartment and can accept covets up to 50 mm path-length and a variety of accessories. The wide path length and optional accessories make this unit ideal for water testing, environmental and petroleum industry testing. Class I Biosafety Cabinet BYKG-III. 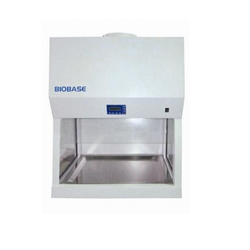 The Class I Biological Safety Cabinet is an open-front negative pressure cabinet. The Class I biological safety cabinet will provide personnel and environmental protection, but not product protection.